As a CACI-WGI (The Wexford Group International) Joint Expeditionary Team (JET) Member, you will provide embedded support to tactical units conducting ground operations primarily in the CENTCOM AOR. You will observe and report on best practices, emerging enemy TTPs, and friendly capability gaps associated with improvised threats such as Improvised Explosive Devices (IEDs) and small unmanned aerial systems (sUAS). While not deployed, you will also provide subject matter expertise on improvised threats to various CONUS offices and organizations associated with training and technology integration. You will interact directly with units preparing to deploy to areas where they will face improvised threats, providing insight and recommendations that shape their pre-deployment planning and training. Relocation to Northern Virginia is not required for the position. CENTCOM-based ground combat experience with a combat arms unit within the past seven years. Minimum 10 years of service within a combat arms or Special Operations unit. Must be fully deployable to the required theater of operations, wear uniforms as prescribed by the supported unit commander, and bear arms as prescribed by the supported unit commander. Bachelors degree and five years of experience, or associates degree and 10 years of experience, or 12 years of relevant work experience. More than 20 years of military experience. 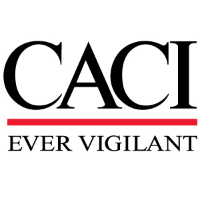 As the Prime Contractor for this effort with JIDO, CACI-WGI offers unmatched stability and growth potential within the program.